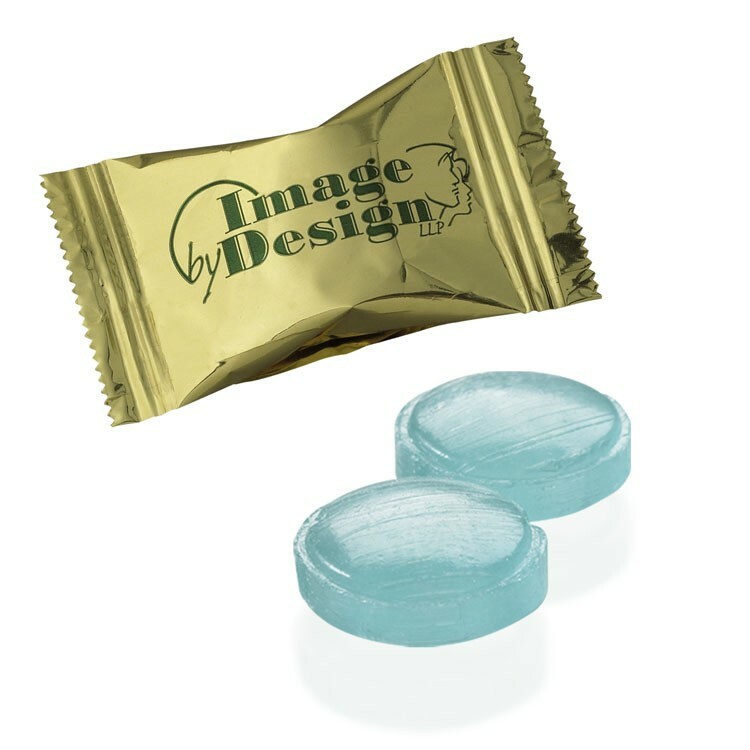 Individually wrapped Annisette mint candy, priced per case of 1000. Note: For orders of 10 cases or more, you can imprint 1-4 color Flexographic Printed wrapper, plus the back of the wrapper. Non-melt product.